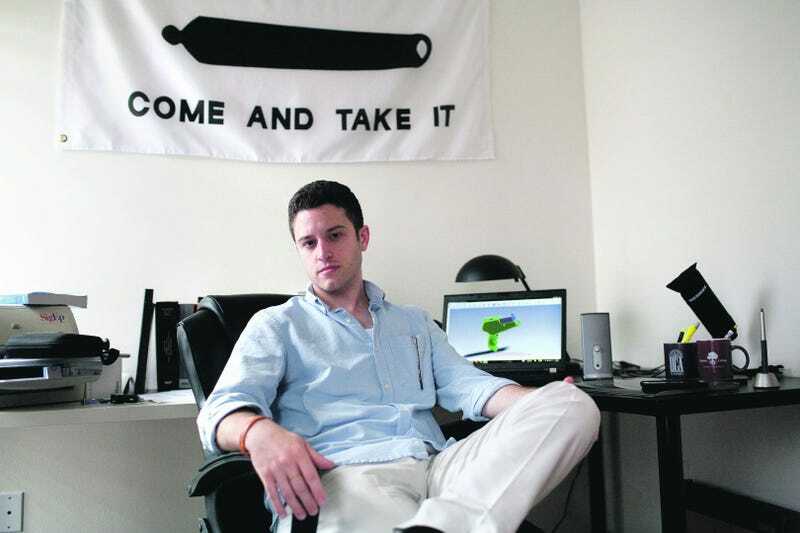 In 2012, Cody Wilson founded Defense Distributed — a company whose mission is to "defend the civil liberty of popular access to arms" through "information and knowledge related to the 3D printing of arms." In an interview, Wilson talks about his next big plans, and says the Newtown shooting was "the cost of freedom." Wilson, a former law student and self-described "crypto-anarchist" [insert gag reflex here], made headlines when he posted the plans for his Liberator handgun online. The U.S. government forced him to take down the plans last year, but not before the CAD drawings had been downloaded tens of thousands of times. Since then, government agencies and police departments around the world have launched public information campaigns to warn of the hazards of using Wilson's handiwork. Rights talk is not something I really engage in. I'm interested in critical theory. There's no way to stop what we're doing, so I think we can challenge the legal structure itself or make it aware of its contradictions about this or get it to accommodate the fact that things like this are going to happen.I recognize that only the United States, and maybe one or two other countries, has the legal tolerance for this kind of activity. We think of the Internet to mean there will be consequences like this. There will be the ability to digitally manufacture things like guns that are easy to make.I just think personal armament is an implication of the future. It's not something that's going away in some progressive sense of civil destiny.